We would like to thank Vertagear for supplying the review sample. 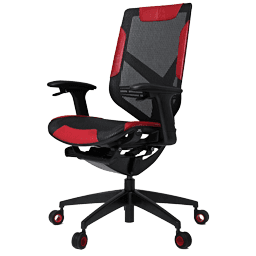 Vertagear is a fairly new company composed of gamers and engineers who are devoted to offering innovative products of quality. Vertagear originally launched the Racing Series S-Line resembling the seats of racing cars. As a follow-up, the P-Line came along, with additional ergonomic features. Inevitably, every company that produces chairs should have a line dedicated to gamers. Thus, the Vertagear Gaming Series was released in November 2016. This line includes three models: the Triigger 275, Triigger 350, and Triigger 350 Special Edition. Each number next to the Triigger name represents the number of components used to assemble the chair. The Triigger 275 is made out of 98% recyclable materials and handcrafted leather stripes which can be found on the sitting and backrest areas; a luxurious touch to an otherwise modern overall aesthetic. Most of the surface is covered by reinforced DuPont TPEE and PET Mesh, though, which is a thermoplastic elastomer. The mesh is resilient and flexible, which has it easily adjust to most body types. 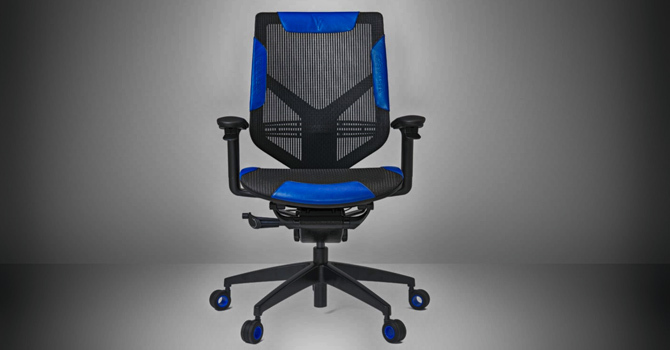 Every chair of the Triigger line has adopted features from one of man's fastest machines: the Formula 1 race car. Each chair is equipped with two adjustable paddles under its armrests. You can use these to adjust the height of the sitting area or tilt of the back frame without having to reach under the seat for a lever. In the ergonomics section is the chair's power house, the Dual Spring Hub which evenly distributes the pressure being applied to the chair. The main parts are covered by a ten year warranty whilst all others are either under a five year or a two year warranty. Refer to Vertagear's official webpage for more details. TÜV Rheinland, a German service provider, has also certified the Triigger 275 after having tested it for quality, safety, security, environmental friendliness, and ergonomics, based on the EN 1335 standard. In less than a year, we were fortunate enough to try out more than four different gaming chairs. All managed to leave a good impression on us, and since they were equivalently priced, we paid close attention to every detail. Inevitably, as long as chairs are the object of interest, one has to try several out before making a purchase; so every opinion on a chair is mostly subjective. We will not make an exception with the Triigger 275 and are going to scrutinize everything about it in order to form an honest opinion.